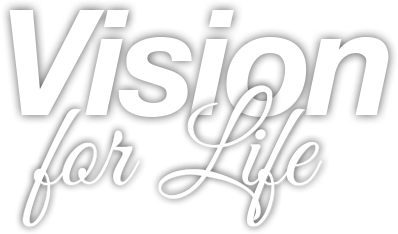 IT’S ABOUT LOOKING GOOD AND FEELING GOOD DELIVERING EYE CARE THAT POSITIVELY IMPACTS YOUR LIFE. At both our Pittsburgh and Cranberry Optical Stores, we maintain an amazing selection of glasses and frames from all the top designers, a variety of different contact lenses, and eye exams for the whole family. In addition to our exclusive collections (Tiffany & Co., Bvlgari, Tom Ford, Chopard, Persol, Leisure Society, and Vera Wang), we offer the best looks from Coach and Jimmy Choo to Kate Spade, and Christian Dior, not to mention just about every brand in between. Our customers tell us people notice their eyewear choices. Because we are affiliated with Scott & Christie Eyecare Associates, our optometrists and ophthalmologists rank among the best in the nation. As a result, we’re able to offer at our Pittsburgh and Cranberry locations, an extraordinary range of eye care services and solutions. From routine eye exams and ocular diagnostics and testing to innovative and affordable customized contact lenses and refractive options, we deliver state-of-the-art eye care options to our customers. Just one more thing, for quality: We also have our own eyewear lab. That means we are able to personally guarantee that our lens products exceed industry standards and are personally customized for you. WE HOPE YOU‘LL STOP BY OUR CRANBERRY OR PITTSBURGH STORE SOON. WE CAN’T WAIT TO SEE YOU!